Learn the meaning of the symbol CMYK inkjet printers, this will help you understand more when you have a problem printing. People who use color printers or have used Photoshop software can lead to see this term, but really it means, because it appears in the printer as used. Rather CMYK color is a method used to create a variety of colors from the unit of two or more of these colors. Even if we put the three colors CMY can create the black color from these colors.We could say that CMYK is short for Cyan, Magenta, Yellow (yellow) and K (Black) Black, these are the colors using the simple printer inkjet to create any color combination that we see coming out of our printers pages. Some cases people wonder why the ink cartridges are so expensive, my answer is that miracles do not come cheap, there were many errors and investment that led to manufacturers buy the method or the method to manufacture unite these four colors and create the many colors that can go from the front of a printer. Subtractive colors used to print the new combination is used, this method has displaced the old RYB previous method used for the paintings of paintings etc. 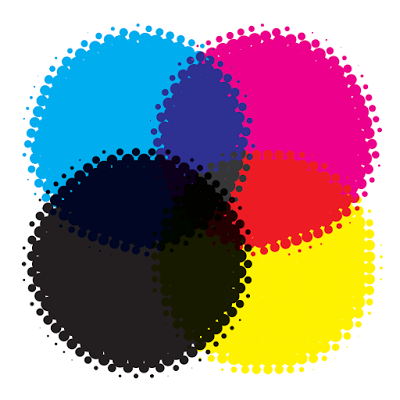 Although the three colors CMY can make black printers use this independent color. Maybe you come to think that the printer ink cartridges have two uses only two colors within or this has all the colors, really have the same amount of colors we are seeing in this publication and these are the names. Only when the printer cartridges have two cartridges have one black one is the need to print both the color and another cartridge is composed of the three colors that allow us to do almost any color. That is why when the black ink cartridge ink runs can print an almost black color with the color ink cartridge. Although this is not recommended, which is why it is recommended not to put black ink color cartridge. The CMYK color model is a robust system that is used in almost all parts of print color today, now you can really understand how the process works. For the most part.